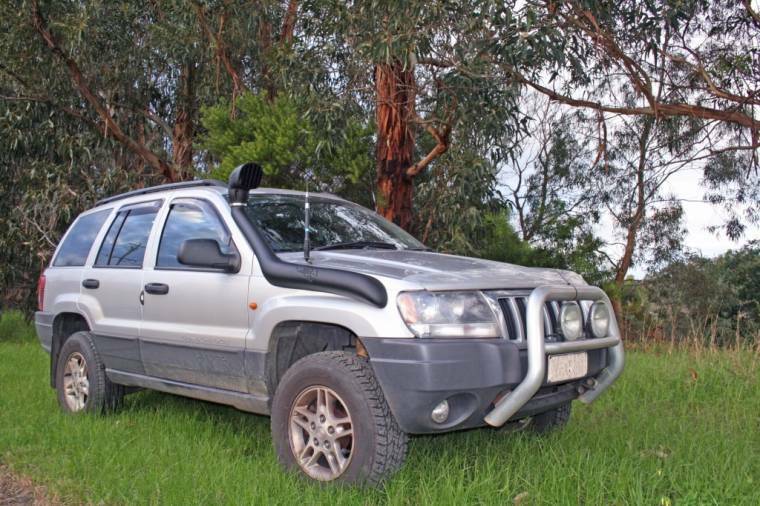 The 4WD Systems snorkel offers you maximum protection from dust & water. 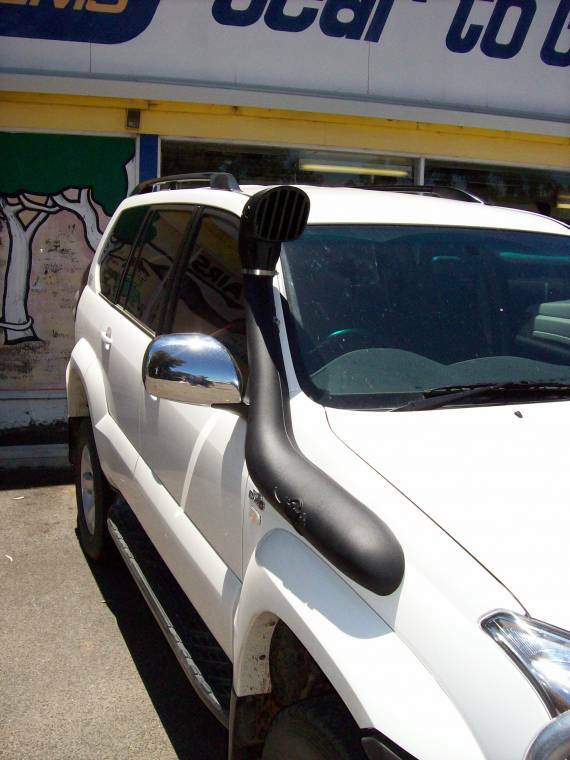 Designed to allow maximum airflow to your engine the designer styled snorkel looks great is super tough and available for most makes and models. Made from unbreakable Polyethylene plastic which is UV resistant, light weight and stone chip resistant. Large 75-90mm bore design for better air flow and increased engine performance. 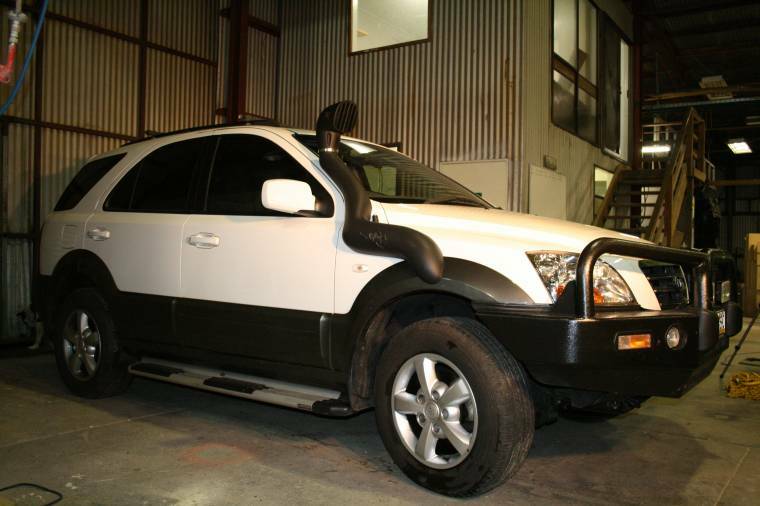 High intake for protection from excessive road dust and water crossings. A dry intake prevents engine damage in deep water, the one piece snorkel section means no leaky joins. The compact design means you don't lose valuable space under the bonnet. 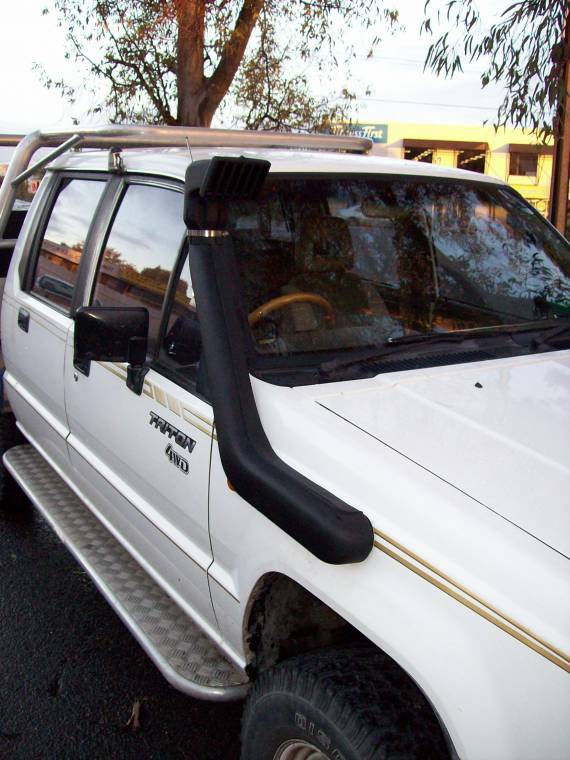 Uses existing air box assembly and elements without extra costs or problems Every snorkel is individually designed to fit the contours of each vehicle. Finish	Multiple hidden attachment points ensure strength and no vibration Orange peel finish designed not to show scratches. The increased airflow resulting from the ram effect and unrestrained passage together with the cooler air captured outside of the engine bay means better combustion engine resulting in improved performance and fuel economy. Cool air means reduced combustion temperatures and longer engine life. The addition of a Pre-Filter (Beanie) & Uni-Filter completes the induction protection system. Comes with DIY Fitting Kit & Template. 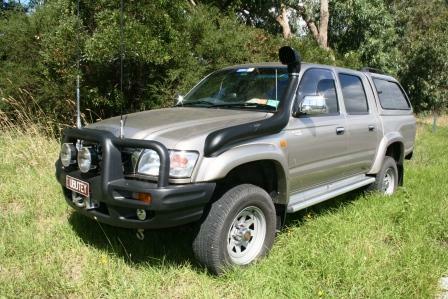 Just a quick thank you for the "fitment" of the snorkel on my grey 1990 Terrano. Performed a treat. 11 creek crossings, 1650 km of Bulldust in 48 degree heat and three washes of the prefilter sock, The main filter is still servicable after 15,000k. Next a long range fuel tank. 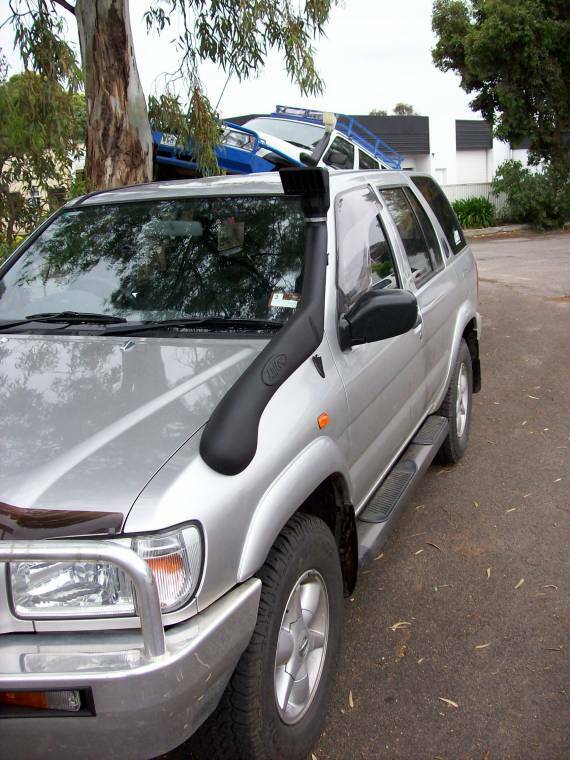 My new snorkel for the Nissan Pathfinder R50 arrived today. Thank you so much. I am looking forward to installing it over the Easter weekend. I opened the package and it looks really good and obviously very professionally produced.